The best gift to budget phone lovers finally launched in China, I am talking about world’s cheapest 4G smartphone, the all new Xiaomi Redmi 2A launched in Chines market on 31st March at CNY 599 (Approx. Rs. 6,000) in Yellow, Pink, Green, White, and Black colours option slated to go on sale from 8th April at CNY 499 (Approx. Rs. 5,000) as a part of Xiaomi festival. It will lock horn with Lenovo A2010. Xiaomi Redmi 2A expected to launch in Indian market by Oct. priced approx. Rs 4,999. The all new Xiaomi Redmi 2A best budget smartphone, supports Dual-SIM(GSM+WCDMA), 4G TDD-LTE network speeds of up to 150Mbps, 3G, GSM/ EDGE, WCDMA, LTE FDD, and TD-LTE comes with a bigger 4.7”-inch Full HD display with resolution of 1280 x 720, display precision 312PPi , AGC Dragontrail™ scratch-resistant glass with crystal clear wide-angle HD viewing perfect for watching movies, reading e-books and playing games. Xiaomi Redmi 2A offers you mind blowing multi-tasking with Android 4.4 kitkat and 1.5GHz L1860C quad-core processor along with Mali T628MP2 GPU with 1GB RAM, 8GB internal memory expandable up to 32GB via MicroSd card. Xiaomi Redmi 2A sporting dual camera, a 8-MP rear camera with ƒ/2.2 aperture, 28mm wide angle lens and up to 720p at 120fps and 1080p at 60fps, With an extra large 1.4ųm sensor and a 5 plastic lens, you can take photos with accurate, true-to-life colors in low light while 2- megapixel camera is perfect for HD video chatting at 720p. Redmi 2 comes with a powerful 2200mAh battery with fast charge technology including Mi Sound Hi-Fi System with Dirac sound technologies measures 134×67.21×9.4mm and weight 132gm. 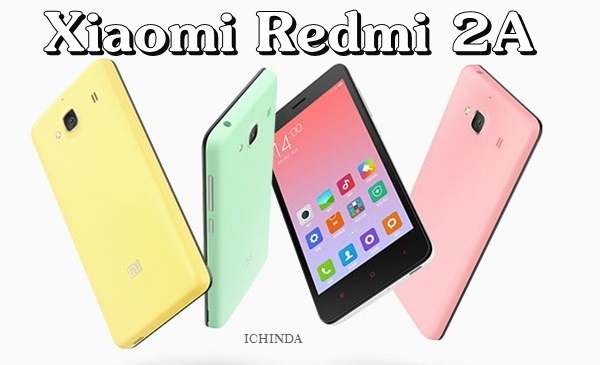 At last few honest word from heart that the all new Xiaomi Redmi 2A is coming to rule the budget phone market. What you think? For more, please stay Tuned….